Dr. E. Mark Levinsohn, Associate Radiologist Emeritus at Crouse Hospital and Voluntary Faculty at Upstate Medical University, recently led a team of medical clinicians, researchers, and librarians in updating what is known about a 2,000-year-old Egyptian mummy that “lives” at the Cazenovia Public Library. 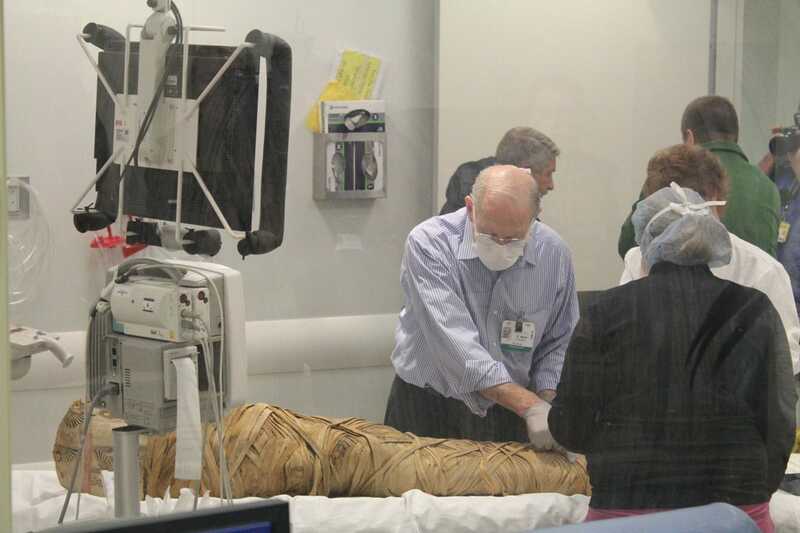 Dr. Levinsohn’s team conducted the first CT scan of the mummy in 2006. In December 2017, the mummy underwent a second CT scan, using the newest scanner now available. 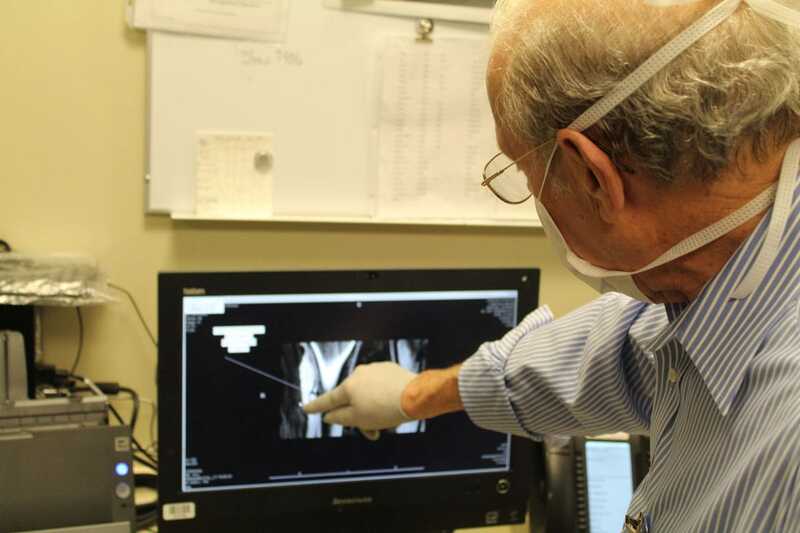 Many unexpected findings were discovered, including the identification of a malignant bone tumor that had been detected in the earlier scan, as well as a statue of the Egyptian god Horus and a medicinal scarab. The statue and scarab were reproduced using a 3D printer, and a facial reconstruction artist recreated the mummy’s face, showing his appearance both in life and just after death. This research marks the first time a malignant bone tumor has been identified in an ancient mummy both histologically and radiographically. Dr. Amy Slutzky, a librarian in Upstate’s Health Sciences Library, contributed to the project by conducting literature searches and providing information on ancient Egyptian burial practices and analysis of ancient DNA samples. Photos by Jason Emerson, originally published in Cazenovia Republican, part of Eagle News. Last Modified: September 05, 2018. Contact Devin Kerr with questions about the content of this page.